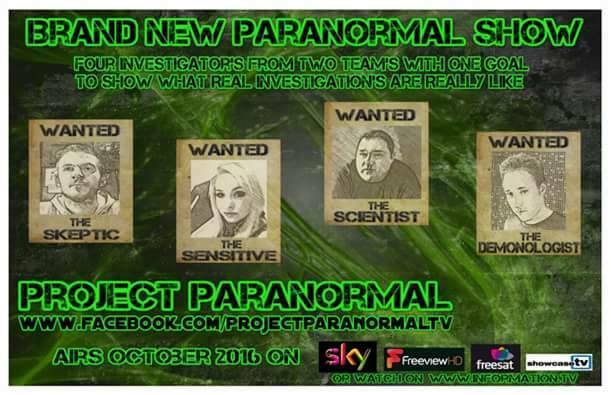 SO WHO ARE PROJECT PARANORMAL? I do not class myself as a professional medium but i do class myself as a sensitive, the difference to me is that what i pick up can come and go, i have periods where i am spiritually stronger then other times, i can see, sense and feel spirit when i am on a wave otherwise sometimes i can feel nothing​ at all. This is something i make clear before a investigation. So I’ve been investigating the paranormal for coming up to two years now. Id still class myself as a baby within the field with a lot to learn but I’m very open minded and very open to learn. Through the years I’ve had many strange goings on around me and sometimes had visions of events that may occur which they actually did and felt like spiritually i was spoken to regarding issues in my life and when meeting others and issues they had in there life. I never really had the confidence to voice these at the time but it was only when something happened or when speaking with others i thought to myself ahhhhh OK i was right to think and feel that then. I’ve always felt as though i am a old soul, and many who are close to me will actually quote that i speak like i am older then my time. I often use this sense to empathise with others and reach out to others who may need a little guidance and support. Sometimes it feels as i have lived through what they are going through and can give them the advice they need if they so wish it to get through…that's the only way i can explain it. HM: What is the scariest place that you have investigated and why? CHARLENE: Scariest Place, Hoober Stand in Rotherham, what we experienced there as a team a few weeks back was unreal, it was one of them nights where you wake up the next day with a paranormal hangover thinking to yourself what the hell happened last night, basically that location completely mind blows you, it is a known spot for real life dark arts and witchcraft, basically when we got there we felt on edge (now we have investigated this location many times and we have always kept a level head) but this particular night it felt different, it felt tense and it wasn't just the sensitives that was picking up on this the sceptics were too, they saw a white figure walking up the grass which appeared to be dressed in a white cloak, we all feel completely surrounded and heard chanting. Many times we all individually said come on lets go but it would then seem to calm down and draw you back in, we ended up finding ourselves in the middle of the woods in a dip and we heard footsteps all around us, surrounding us, i personally felt on edge and felt we could have been attacked at any time and then as we turn the camera off we hear a lady's voice in front of us all as we said shall we go we heard YES clear as day for the 3 of us all to hear who was stood there, this then followed by laughter in the way of where David was facing which sounded like a ladies laugh, These woods remind me very much of the film the Blair Witch in the terms of how it messes with you while you are there. It is alleged to be haunted by numerous spirits but the 3 most known is that of 3 witches. HM: If you could investigate anywhere in the world, that you haven’t been too, where would it be and why? CHARLENE: One place i would love to investigate is Denbigh Asylum in Wales. Its the history of the location that draws me in and i think with that and what people may have experienced and felt there I'm sure there would be many lost souls still wondering around. HM: How old were you when you first started getting into the paranormal and what got you into it? CHARLENE: I have been interested in the paranormal since i can remember, i can remember sitting with my mum when i was younger watching TV programmes and documentaries surrounding many aspects of the paranormal. As i got older i started to encounter many strange things myself, have thoughts and feelings and giving off predictions to people. When my Dad passed away, the list of activity i had around me was endless and that was a turning point for me and i set out to find out more. HM: How does it feel to have your own show on TV? HM: As the only recognised sensitive on the team, what is your role during Project Reveal? CHARLENE: My role within Project Paranormal is investigating the unknown, researching and expanding my knowledge in the field, even though i am sensitive to spirit, i like to be known as a logical investigator that can put a spiritual spin on things. I feel on investigations i may be able to act as a voice for spirit and believe sometimes doing this you can build a great connection with spirit based on trust, this isn't always the case, i sometimes can go to a location and feel or sense nothing, what i get comes in waves and i like to not be told anything about the location or hauntings before going to see what i do feel there and pick up on. If i have been told or have had to look up the location i will say, but sometimes the team will not tell me where I'm going at all beforehand, we will just turn up there. For me being a sensitive it is all about energy, and the energy that lays within that location. HM: There are more mediums and psychics than ever before, is there potential for anyone to be a medium? CHARLENE: I do believe that we all have some physic ability to some degree so do feel there is a potential for people to class themselves as a medium, many may disagree with that and say they feel nothing, but i believe in life we can go to a place and it can feel eerie or you meet someone and instantly dislike them weather or not we pick up on ourselves doing this each time is debatable, i believe those more open recognise it more. Now i am not saying this gives you mediumship qualities but i do believe this is where it starts and the more you explore it the more you grow and could potentially gain the skills needed to become a medium. I actually don't class myself as a medium, i class myself as a sensitive and some will say well what is the difference, the difference to me, being a sensitive is i go on what i feel at the time, energies i feel around me and just speak out with what I'm given, sometimes i see spirit, sometimes i don't, sometimes i hear spirit, sometimes i don't and sometimes i just feel feelings. Some times activity will just occur around me in my presence without me feeling anything. Its never the full package and the full package for me is what id expect from a medium. HM: if there is one famous dead person throughout history that you could talk to via your skills and ask one question, who would it be and what question would you ask? CHARLENE: Albert Einstein. I would love to have him come back and just sit there on the PC with him for a day, showing him everything that has happened since his death. Teaching him how to use the mouse, how to surf the web, I could picture it going "Albert - you have to click twice on that." "No, Albert - do NOT click on the X" Einstein: "hmm... vat iz this? Congratulations, I am a WINNER?! hmmm, just click here". No, Albert, no!" No he properly would get the hang of it straight away but I wonder what he would really be blown away by? but my ending conversation would be with him is what he thought of the world has it is today!! I am a believer, having many experiences over the years. I've investigated all over UK and Europe for 15yrs, places that include Leap castle and Charleville Castle in Ireland and Bran castle (Dracula Castle) in Romania. I come from a scientific background, having studied at university and worked in a few labs over the years. 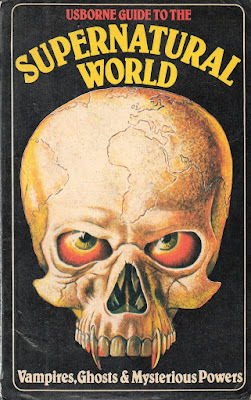 I am very much looking forward to bringing science to the paranormal world. I work with Echovox and some of the responses are great and intelligent. I've got a certain way of asking and working my sessions with Echovox. I am mostly looking forward to bringing a real investigation, no drama or anything like what you see just now on TV but we will bring some fun as the four of us really get on and respect each others beliefs and the four of us bring a lot of experience to the team. 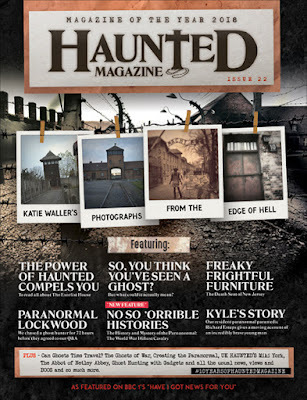 In the future i hope to investigate more haunted locations around the world. HM: What is the scariest place that you have investigated and why was it so scary? DAVID: Scariest place I've investigated is probably Newsham Park. I think it because it has a very creepy atmosphere about it. The history also adds to that. The stretchers are still there, and if you manage to get into the morgue, you can feel the heavy atmosphere. HM: If you could investigate anywhere in the world that you haven't been too where would you choose and why? DAVID: I would love to investigate Alcatraz. That's because of the history behind it. There are so many stories, not just paranormal, that are fascinating that relate to the prison. DAVID: I've had an interest since I was about 20. Then became passionate from about 25. I suppose it was the paranormal TV shows that were on TV that got me interested originally. The history and the locations that they visited I found interesting. Then at 25 I went on a public event with my wife, and my late father came through, questions were being answered on the Ouija board that only me, my wife and my father would have known, and neither myself or my wife were on the board. From that moment I became extremely passion about the paranormal. HM: In one word, describe how does it feel to have your own TV Show? HM: Is there ever a time, during an investigation, that you have been truly scared as an individual? If so, how do you deal with it? HM: what can people expect from Project Paranormal? DAVID: I hope people will see what a genuine paranormal is like. We, at Project Paranormal, wanted to put out real investigations, show what actually happens. Activity doesn't always happen on command like you see on TV. If nothing happens on our investigation that will be shown. Nothing will be faked or exaggerated. Project Paranormal is not about viewer entertainment, it's about viewer education. HM: Do you think social media plays a big part in the paranormal these days? If so, why so? DAVID: Yes, social media plays a huge part within the field. There are pros and cons to it though. Facebook and twitter allow teams from all over the world to interact with each other, to provide support, and bounce ideas off one another. It also allows the public to interact with you, and to watch your investigations. However, Some investigators have become Fame hungry and are only out there to get a many 'likes' and 'followers' as possible and to do that they fake a lot of their videos. If your going to fake, state it. Also, social media makes it so much easier for people to troll. HM: If you could only take one gadget into an investigation with you, what would it be and why? DAVID: I'm totally closed off and I rely on gadgets during investigations. The one gadget that I couldn't investigate without is Echovox. I have been using it for years and I feel it has become an integral Park of my investigations. Like most people regarding apps, I was very sceptical regarding using one, but the more I used it, I realised that if you ask for intelligent responses and not just a yes or no, then you can near enough rule out it being part of the bank. Similar to a spirit box, if you ask an answer that requires an answer that isn't yes/no and is specific you need to ask what are the chances of that word being on the radio at that specific time. I always ask the Echovox questions that relate to the location and also questions like what am I doing? When you get the responses that I have gotten, it's pretty impressive. 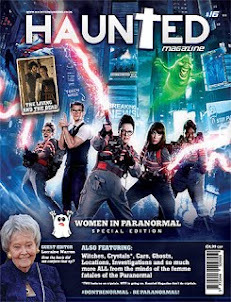 HM: What attributes combined make for a good paranormal investigator? DAVID:I believe that to be a good paranormal investigator you need to have an open mind. You cannot assume that any potential activity is paranormal. You need to be able to debunk as id say about 99% of things can be debunked as not paranormal. You should be trustworthy as if you investigate with a partner or a team, they have to be able to trust what you are doing. No paranormal investigator should be faking evidence. Realise it's ok to go to a location and it will be quiet activity wise. You should not expect activity to happen endlessly, it can be a very slow and boring night on an investigation. It should be can enjoyable experience, I love investigating. 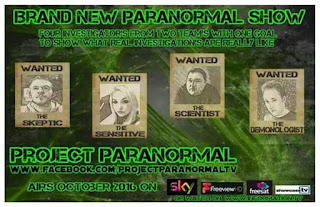 I am the only sceptic of the team project paranormal, a sceptic who will respect peoples views and opinions, a sceptic who is open minded, and a sceptic who will challenge and brings fresh ideas to the team and paranormal field..
My aim is to try and improve the way investigations are done, and spread education along the way. I am a sceptic who will speak his mind and i do not like fakes and frauds.. with any evidence i would expose anyone... as for project paranormal, my aim is also to push education, tighten up the investigation tactics, i will be looking for ways on how we can improve the investigation methods just in case anything paranormal may occur we will have all bases covered. 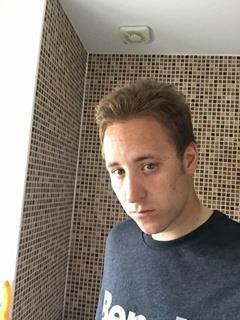 i look forward to the journey of what we will lead, and i look forward to the discussions we will have, you can expect to see live talks from me on this page, and some interesting talks, articles and of course i will be in the project paranormal episodes and Documentaries we will film, we truly have a great team of people from all different aspects of the field. i cant wait to show you more of what we are all about. LEE: Hoober Stand was the most scariest place, within 14 years coming up to 15 years of investigating, known for its witches, the place seems to play with your mind. It is the only place which makes me feel cautious as a sceptic, i do not suggest to go with less than 3 people, for the psychical danger which may be lurking there, i will let you do your own research on the place. 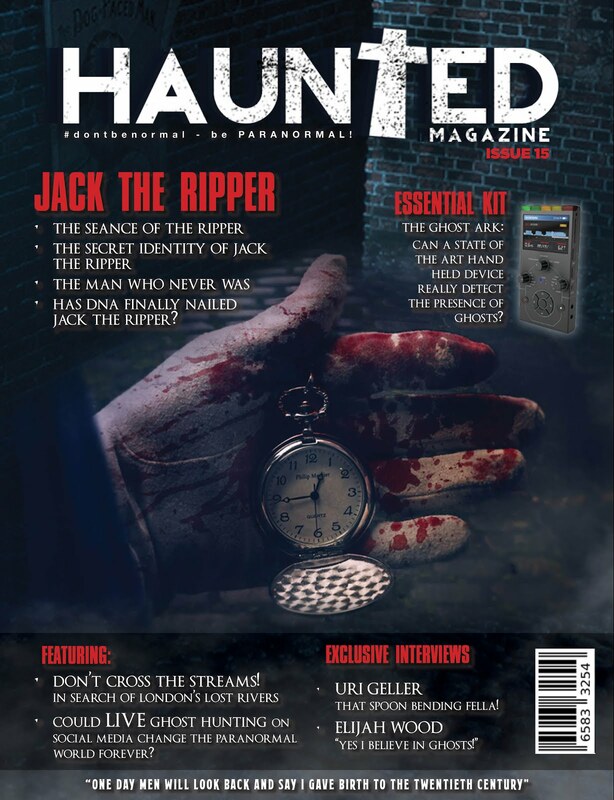 LEE: i will stick within the UK and I would love to investigate the house associated with "The Enfield Poltergiest" possibly one of the most high profile cases out there to this date along side with Pontefract Poltergeist, and Borley Rectory haunting. 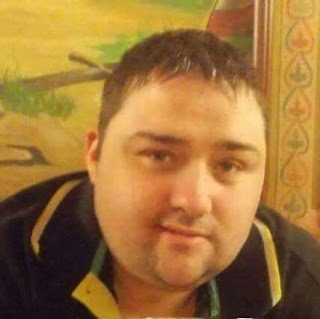 LEE: i was around 16 when i got properly interested in the paranormal i can remember watching all the old paranormal shows Strange but True, and ghostly shows on Bravo TV with my dad from the age of 10+ , but when i was 16 something happened to my in my first real relationship which I did think at the time "this could be a ghost" which made me want to know more about the paranormal, but through time, I started to question everything and my journey for education grew and made me into the sceptic I am today. HM: What made you decide to make a Paranormal TV show? LEE: Well i am a strong believer that current TV shows, Teams and Event Companies are blind sighting people and hiding the real truth about that is going off, I am all about education, I want to share knowledge, and spread education to everyone with the hope of making a person a better investigator, these shows are normally all one sided, and tell you ghosts are real, this is a ghost, when in fact we have not scientifically proven ghosts to exist we do not have a ghost in a jar "don't listen to EBAY" WE DO NOT HAVE IT and I wanted to do a TV show in an attempt to open peoples eyes more and to start questioning things more, really pick things to the bone so you can be 100% sure that you have in fact covered all bases you can think of, we all have room for improvement and that's the aim to improve investigators and the field as it is today. 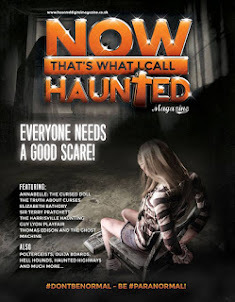 HM: What has changed most in the paranormal world over the last 5 years? LEE: what has changed within 5 years? I think you already know my answer to some degree. OK so seriously what has changed? 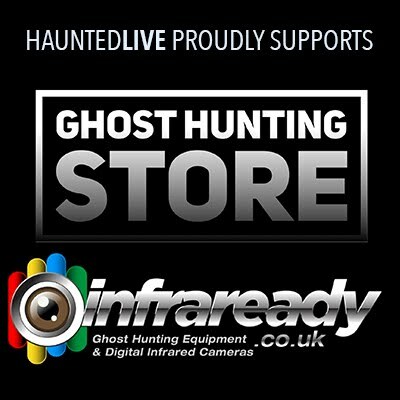 More frauds, More TV Shows, More Mainstream, More Cool, More Fake Evidence, but there has been a paradigm shift in the field, once a field which was hush hush in the 70s & 80s you wouldn't dare speak about ghost experiences, but now days ghost hunting is more of a entertainment field rather then a research field, its classed as a night out on a weekend, so the main thing what has changed within the last 5 years in my view is the popularity and the downfall in data collection when it comes to evidence, we are all focused on video rather then the data which an location could provide. 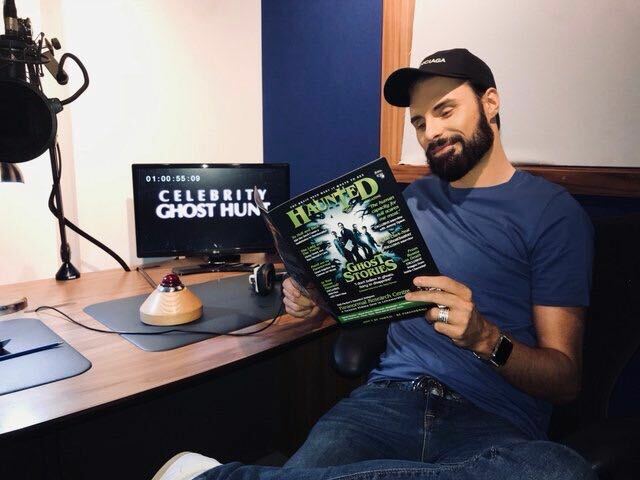 HM: A lot of people love paranormal TV shows, but there’s also an element of mistrust and the “entertainment” factor as part of it what are the advantages and disadvantages of a paranormal TV show? LEE: Advantages of a TV show and disadvantages: Well with success comes hate, comes jealously, TV does have a bad name, due to the old shows out there caught red handed faking so when you announce you are going to be on TV people will "some people" assume you will follow in the same path, and get focused on "viewer rating" to "sell advertisements space" The advantage for me personally is that we are spreading education, the disadvantage is the TV show will be the hate it will bring. HM: Prior to an investigation do you know much about the history of the location, is research important or is there a fine line between knowing too little and too much about a location? LEE: Research on a location: I think its best that no one knows the history, better even yet it would be better if no one knew at all where we was going only a driver who wasn't apart of the team or show, i think knowing bits of history could hinder an investigation, even seeing bits of history on the wall in a location can also hurt the investigation as you are walking around your subconscious mind will be picking up and reading words your not aware of, and when doing anything spiritual like an Ouija board you could be thinking of this person you have seen, and it could turn into a group collective subconscious movement, when it comes to tech, like Franks box, ghost box, Echovox etc.. it is the same knowing bits of history and names your brain will be wanting certain words to come through, and it could help you make sense out of something totally random, testing this method personally proves that when no one knows what we are looking for name wise, item wise, number wise we never seem to all get the same response via a ghost box and etc. so its always best to research after an investigation, that way you know that your subconscious mind hasn't kicked into play. HM: You are the sceptic one, has the paranormal made you more OR less sceptic since you started investigating? LEE: Yes over time i find things which dishearten me make me lose faith in the field, or i just find new possible explanations for activity, i have found out the more i have investigated the more sceptical i have become of evidence, teams, Youtube!!! and of course TV SHOWS. However as a sceptic i respect we all have a view and opinion and i will never say that I am right or wrong, i will say my view and leave you to make up your own mind on whats going off, i think its important in this field to share experiences so we can all learn. I am a Paranormal Investigator and a Demonologist. 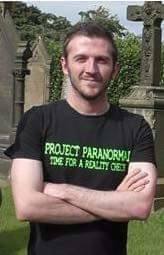 I have been researching the paranormal since the age of 10 and have been investigating the paranormal since the age of 16. At the age of 20 I started my research into Demonology and spent 6 years studying how to do removals before even attempting to perform a spirit removal. I have some sensitive qualities but I focus more on the investigating and demonology side of things leaving the mediumship work mainly to Charlene. I am like the rest of the team dedicated to bringing to the public's attention the realities of paranormal investigations without any of the showmanship that you find of "teams" on the TV and YouTube constantly doing. Having worked so long in the paranormal field it is disappointing to see teams staging or playing up that they are being attacked like the majority do. I have been a Demonologist 11 years and only come across 2 instances that could even be classed as demonic in nature yet surprisingly a lot of the teams on the Internet and TV seem to come into contact and get attacked and possessed by demonic presences every other week. Either they are staging this or they are doing something seriously wrong on the protection side of things. The truth is demonic activity is a very rare occurrence and possession is an even rarer occurrence. It really is time for a reality check. IAN: Being a demonologist not much phases me when on investigations in terms of spirits I have no fear of anything spiritual. However that being said i do believe that certain locations can store residual energies that can depending on the type of energy say it is of a tragic event or negative leave you feeling some what on edge but that's just a feeling not anything really that's scary or an immediate threat. Locations I would say that stick out to me as holding such residual energy that can create a some what scary atmosphere are Castle Ring (Cannock Chase), Hoober Stand, and Carnsalloch House. IAN: I would have to say it would be Sallie House, Kansas. Being a demonologist the reports of this location appeals to me what with claims of full bodied apparitions, poltergeist activity and possible demonic haunting, it's something I would certainly like to investigate and experience first hand to see if the claims of activity are true or not. IAN: I first started researching the paranormal at the age of ten. after having a near death experience at the age of eight I felt like a part of me had been drawn to a paranormal connection and although I very rarely admit it I am a sensitive I can sense when a presence is around although I must clearly state I am not a medium I do not communicate with them I just sense them particularly when it is a negative presence. My primary school was haunted and I had my first real spirit encounter there seeing a shadow spirit dart through a doorway, the door closing behind it. After following it with a group of friends at the time the spirit was no where to be seen and it was a long corridor no way anyone could get to the other end without us having seen them as we followed very quickly behind it. After that I wanted to find answers as to what I could have witnessed. At the age of fifteen I went on my first real investigation and I was hooked ever since then. I started studying demonology at the age of twenty and learning how to protect from negative spirits and the darker side of spirituality. Now at the age of thirty one I have had many more experiences that made me believe even though I would describe myself as a sceptical believer as a lot of occurrences can be explained away and what we are looking towards with Project Paranormal is trying to connect scientific methods with the spiritual to try and prove or disprove the afterlife with never been seen before scientific experiments. HM: As the Demonologist in Project Paranormal, is there times when the very presence of a demonologist is a) Not Needed? or b) encourages more demons to come forward? IAN: As actual demonic hauntings are rare you could say that the presence of a demonologist is not needed but on the same note think of it as a safety precaution better to have and not need, than need and not have. We have had the word demon come up on devices before but it's usually when asking what I do in the group and just to set the record straight no I'm not a demon. We believe that the word demonologist is too hard for spirits to say so we either get the response demon or demon hunter said so no I don't believe my presence as a demonologist encourages demons to come forward more in fact I would say they are more scared of me than we are of them. Negative spirits or angry spirits are still present at some locations and same principle applies I can remove them just as easily as a demonic presence. I am known to provoke at times also this is to show the fact that I show them no fear as that's how a negative spirit or entity will latch onto your energy in an attempt to gain more energy to manifest in a bigger way. 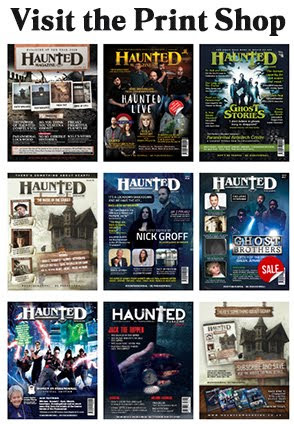 HM: What are you looking forward to the most about Project Paranormal going on TV? IAN: I'm looking forward to the most showing what genuine investigations are really like none of the over dramatics, screaming etc like a lot of the shows out there that are purely about entertainment, it's about education to us not fame or fortune. HM: What is the best way to get rid of a demon inside a haunted location? IAN: There are many different methods that can be used but through trial and error trying out the various ways in my eleven years as a demonologist the best way in my opinion is by using the Latin versions of the prayer to Saint Michael and the prayer to Saint Benedict when it comes to removal of any demonic or negative presence or any presence for that matter whether it be to forcefully remove a spirit or help them crossover. 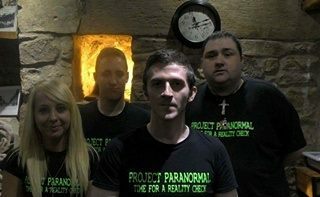 "We are a team of 4 very passionate paranormal investigators who gave teamed up to provide the public with a knowledge of how real investigations go. We live, breath and sleep paranormal and we think our passion shows in our investigations"
showcasetv is a channel dedicated to showcasing new and niche programming, broadcasting on SKY 212, Freesat 161, Freeview 254. They broadcast programmes from a wide range of genres, offering an exciting and cost effective way for programme creators to reach the UK’s main TV platforms without the expense of running their own dedicated channel.